I was talking to my sister the other day about the importance of getting enough Omega-3 fatty acids, and she brought up a good point: if Omega-3 supplements are essentially compressed fish oils, aren’t you worried about mercury poisoning? This is a valid concern. Mercury poisoning is definitely an issue right now because of the high levels of mercury in our oceans & lakes, which is contaminating many types of fish that we eat. This ensures the highest quality fish oils without any toxins. A really good brand is called Platinum, which you can find at your local health food or supplement store. It’s about $28, but you only need to take 1 or 2 a day to get your daily requirement (1000 mg). Jamieson is another great brand, and their Omega-3 supplement also meets the criteria, but is at a lower price point. So why is Omega-3 so important? Well, this amazing fatty acid lowers levels of fat in your blood; preventing cardiovascular disease, and also has lubricating qualities, which keeps your skin looking youthful. This quality also helps to reduce joint pain & stiffness for those people with rheumatoid arthritis. Important brain processes also rely on fatty acids so make sure you get enough to keep your brain sharp and to help prevent dimentia and memory loss. Omega-3 is also good for those who suffer from anxiety as it’s involved in nervous system processes. Omega-3 is tricky because it’s difficult to get from food sources so it’s important that you take a supplement. However, make sure you only take Omega-3, not Omega-6, or Omega 3-6-9. Omega 6 is much easier to get from food sources and if you are also supplementing it; the important balance of 3 and 6 can be thrown off. And maintaining the balance of Omega-6 and Omega-3 is really important to your health. To make sure you are maintaining the proper ratio, avoid buying Omega 6 or 3-6-9 supplements, and choose foods that are high in Omega-3: try and incorporate fish* in your diet at least twice a week and snack on walnuts, sunflower & pumpkin seeds or add sesame seeds, hemp seeds, ground flaxseeds or chia seeds in your smoothies, stir-fries or salads. Try my homemade cereal to get an omega-3 boost in the morning. *When choosing fish make sure you avoid the big fish like swordfish, mahi mahi and white albacore tuna (chunk light tuna is better) as they tend to have higher levels of mercury. Also, make sure you avoid farmed fish; always go for wild fish as they don’t have any PCBs (a toxic pollutant). 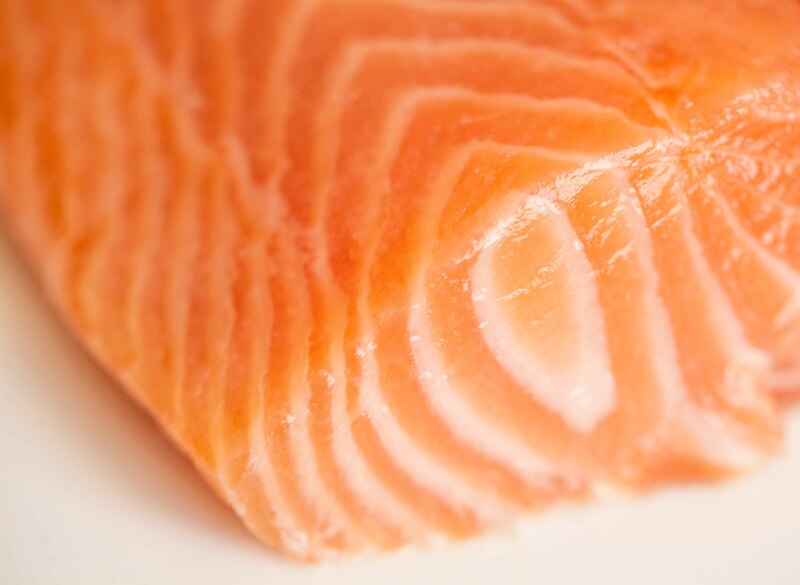 Salmon, herring, sardines and mackeral are high in Omega-3, and low in mercury. Lately I’ve been buying fresh tilapia filets from St.Lawrence market, and they are amazing. They taste so fresh and don’t smell fishy. Last Friday night my husband and I made Fish Piccata with a side of home-made sweet potato fries (I’ve mastered this recipe by the way), and it was an easy, healthy, gourmet tasting meal for about $10!